The Nietzsche Suite (a frequent visitor who climbed the trails between Eze by the sea and the medieval village and was inspired by this journey to write a passage in « Thus Spoke Zarathustra »). The Barlow Suite (in homage to the American composer who was very productive in the ’30s and ’40s and who often stayed in Eze Village for nearly 30 years). 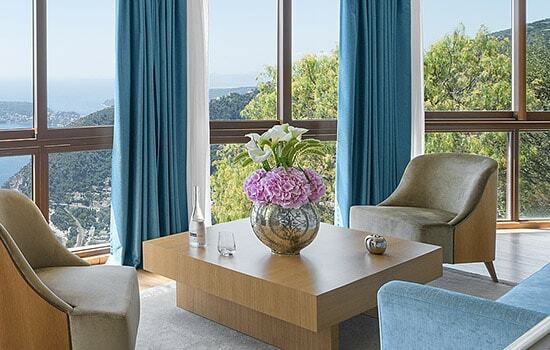 Our 3rd Luxury Suite was named the Suite du Cap because of its views of the Bay of St. Jean Cap Ferrat.